It has classic styling with sparkling clarity. The beauty of Carico's Fine Crystal will enhance any affair. Each Carico piece is designed and hand crafted by Master Craftsmen. Each piece is also hand polished for superior clarity and brilliance. When I was looking for a barware set, I could not find a collection which offered such a large variety of items, like Carico’s Elegante collection. Each piece came beautifully gift boxed. Now that I have had my collection for years, I am still amazed how easy and simple it was to get breakage replacements. I was amazed that they did not cancel the pattern, which most crystal collections have done. Each piece is crafted by hand. I enjoy entertaining my guest and using the Carico Elegante Collection. Just wanted to let you know, my fiance and I received your Carico knife and wine glasses... They are beautiful according to Jeni. Thank you very much for your diligence in bringing this matter to a solution. I would like very much to be a customer of yours in the future. Carico products speak for themselves and I was wrong for believing the hipe on the Internet, of all places. 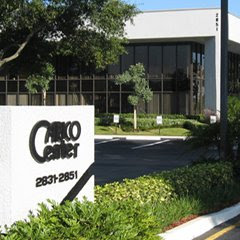 Thank you again for all of your time and I'm looking forward to do buisness with Carico in the future.